Whenever you need to download any new apps you’ll obviously visit Google Play Store and pick the ones you like, people are often restricted to that circle, but they shouldn’t. There are some alternatives which are worth checking out and here we have mentioned one of them. MoboRobo, the popular Android sync software and application developer, are back with yet another useful app called “MoboMarket”. So what’s MoboMarket and why it should be on every Android device? Because it is your one-stop Application Store for your Android, just like Google Play, this store contains various useful applications and games. 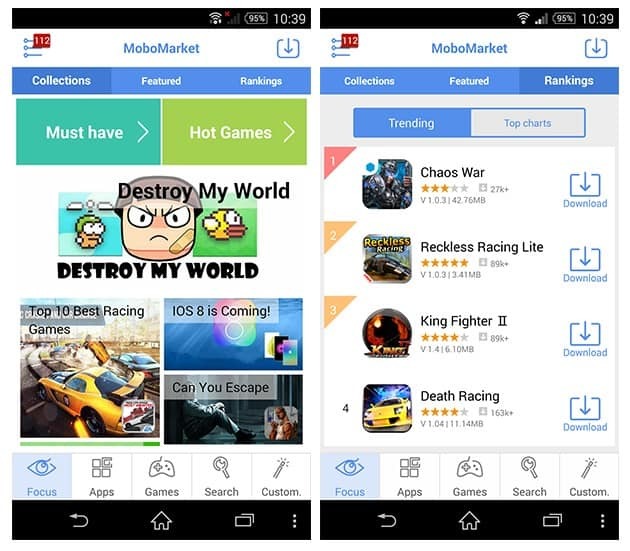 MoboMarket is a free independent 3rd Party Android App Store so you won’t find this on Google Play Store, so be careful when you are downloading this because there are lots of replications out there. Apart from apps and games what I like about MoboMarket is they provide us with exclusive themes and wallpapers. Overall it is a wonderful alternative for Google Play Store. What I loved the most about MoboMarket is that you don’t need a Google account to log in. MoboMarket includes app manager which combines a number of useful features. You have full control over your app. MoboMarket home dashboard has three tabs – Collections, Featured and Rankings. We browsed through the app and found some various interesting apps which were not available on Google Play Store. You have plenty of features which are similar to our normal Play Store here so you won’t be actually confused with the settings and options. MoboMarket also suggests you apps based on the other apps you have installed on your smartphone. MoboMarket has 5 different main tabs – Focus, Apps, Games, Search and Custom. The focus tab is the first tab with trending apps and collections, Apps tab shows you the apps according to featured, latest, rankings and categories, same for Games tab, next we have Search tab which has an option for searching apps exclusively and the last tab is Custom, where you can download themes and wallpapers for your Android device. Apart from having features of a Play Store, they also have RAM Booster, Startup Optimiser, Android Cleaner, etc., I found these tools very handy and useful. Their parent company, Moborobo.com, is celebrating their 2nd year anniversary and MoboMarket gets upgraded to a new version (3.0ver). They have included a lot of interesting features which be extremely beneficial to the Android users. They have included features like Geo-Location and Content Pushing, a brand new user-interface and plus a recommendation system to make things simple. With two years of continuous efforts MoboMarket has a tremendous reach of 100 million users worldwide with almost 5 million daily active users. They covered in North America, South EastAsia, Middle East, and North Africa. If you are bored with Google App store and you are in need of an alternative, or if you want to experiment with various different apps, games, themes, wallpapers, etc., then you should definitely go for MoboMarket. 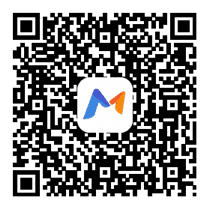 One can download “MoboMarket” app by clicking on this direct download link or just by scanning the below QR code from your Android device.